Rare snowfall in the city. There must be a lot of people like me who will be suffered by this snowfall. But isn’t this so exciting somehow!?!? Needless to say, day’s work is important but we should give more attention to this exciting feeling don’t you think? Well… how is today’s surveying going to be…? 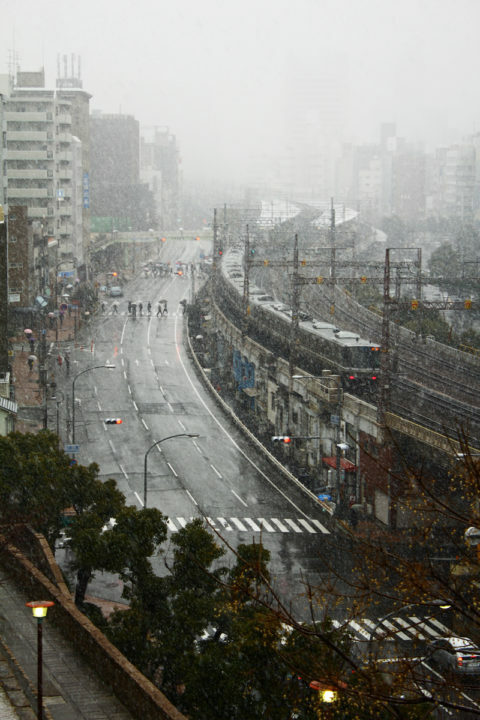 Photo: Rare snowfall in the city area of Kobe from our office.